June’s feature is unlike any of our previous Book of the Month selections. 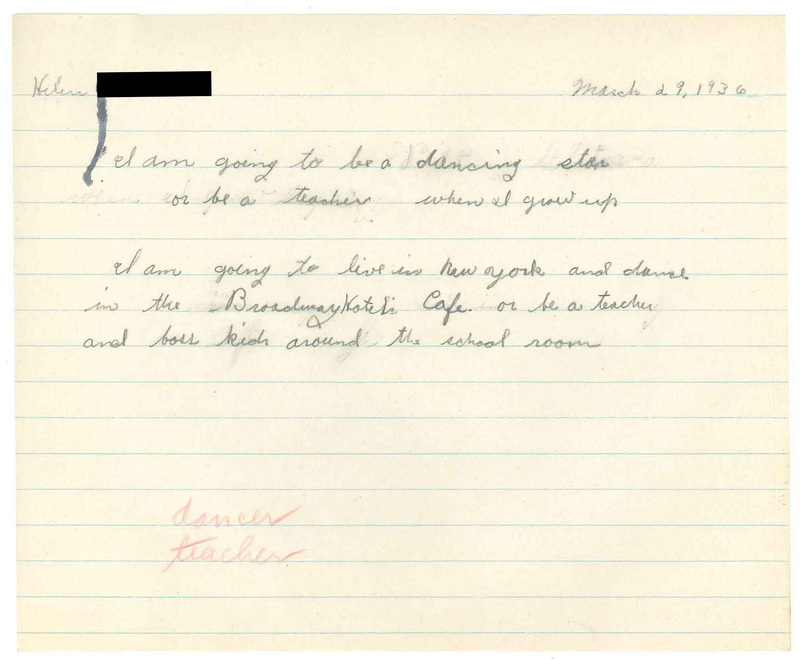 It isn’t even housed with the books or in the library catalog. Then why is it part of Book of the Month? Because it is a book – just not in its final form. 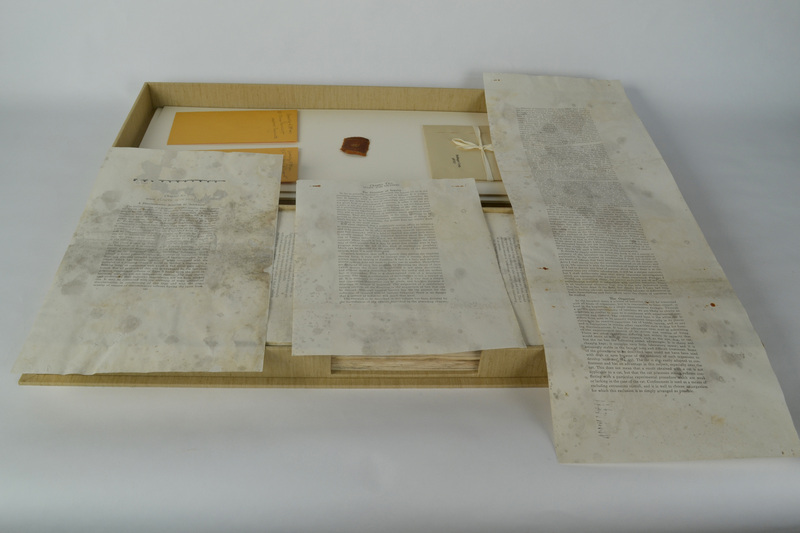 It is B. F. Skinner’s galley proof pages of The Behavior of Organisms: An Experimental Analysis (copyright 1938). The Behavior of Organisms, Skinner’s first book, was a landmark publication in the field of psychology. In this work, Skinner laid out his novel ideas about operant behavior and the study of behavior change. These ideas would eventually impact not only psychology, but also education, industry, animal training, and other fields of work. Galley proof pages of B. F. Skinner’s The Behavior of Organisms: An Experimental Analysis, copyright 1938. The proof pages are unbound, with extra space in the margins for notes and edits. The proof pages were donated to the CHP by Marian Breland Bailey and Bob Bailey. Marian and Keller Breland were students of Skinner’s at the University of Minnesota. 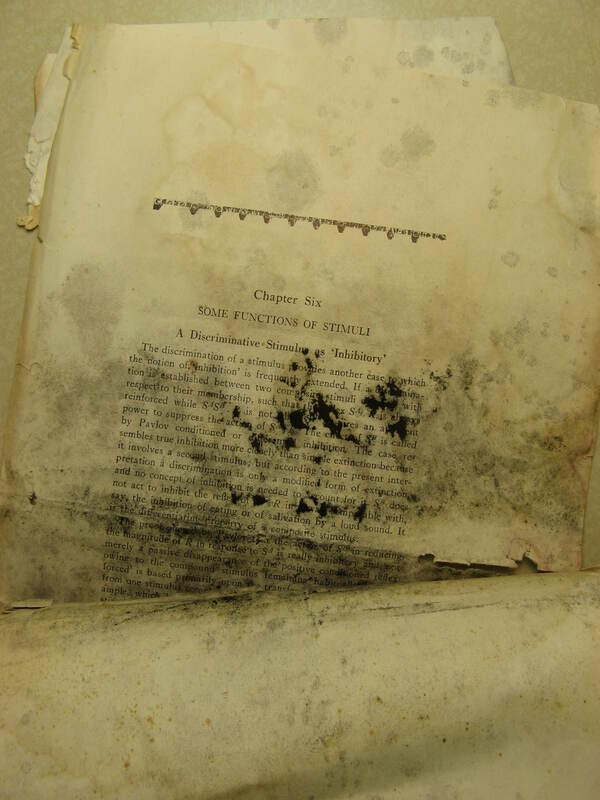 Before: When the pages arrived at the CHP, they were in need of conservation work due to mold, rust, and warping. They appeared to have been damaged by water. 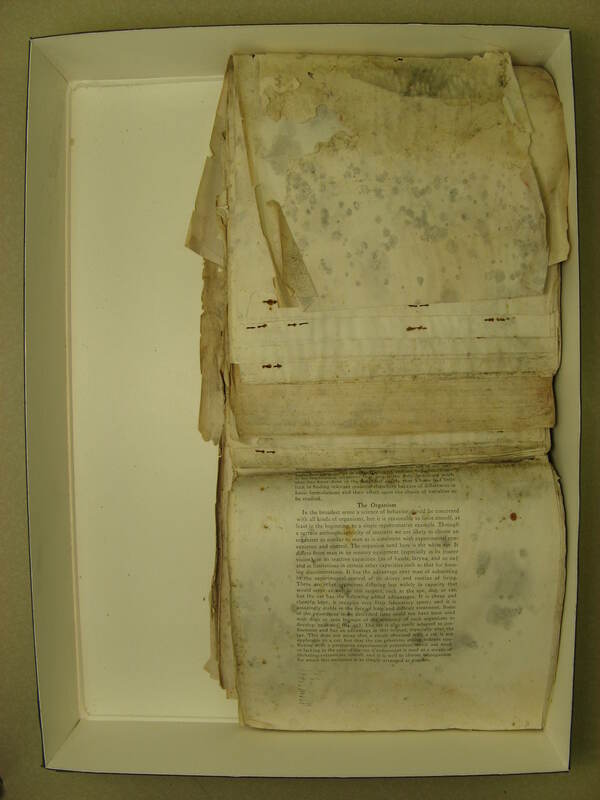 Before: Because the pages had been curled and folded for many years, the conservator also treated the pages so that they lay flat. 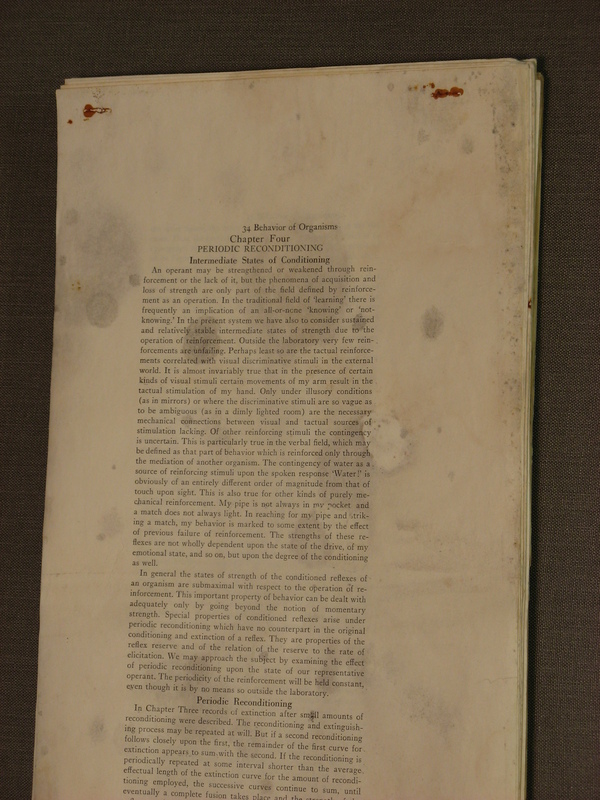 After: Conservation work has been done on the pages to remove mold, dirt, and rust. The conservator created an acid-free, custom box for long-term preservation. The CHP also houses a number of copies of the book in its published form. 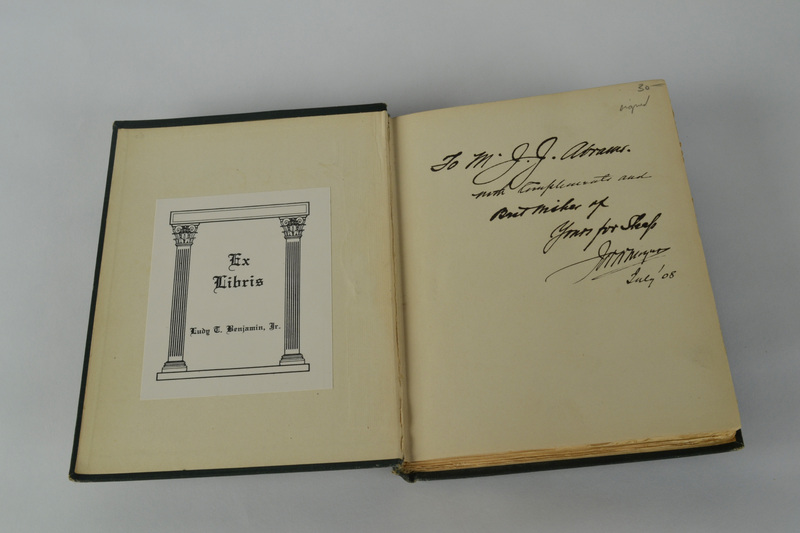 Of special note on those other copies, copy three is inscribed “To Robert Kantor with gratitude and affection, Fred Skinner” (donated by J. R. Kantor), and copy 4 is one of 800 of the first printing (donated by Abram Amsel). While working in the Muzafer and Carolyn Sherif papers I came across the most amazing folder. 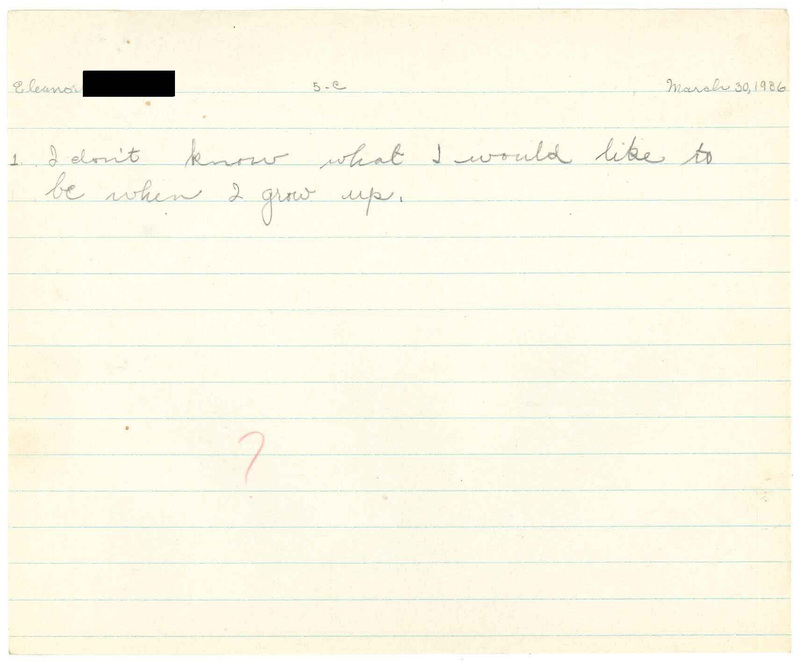 In 1936 5th graders in Wilmette, IL were asked, “What do you want to be when you grow up?” Here are some of my favorite responses. 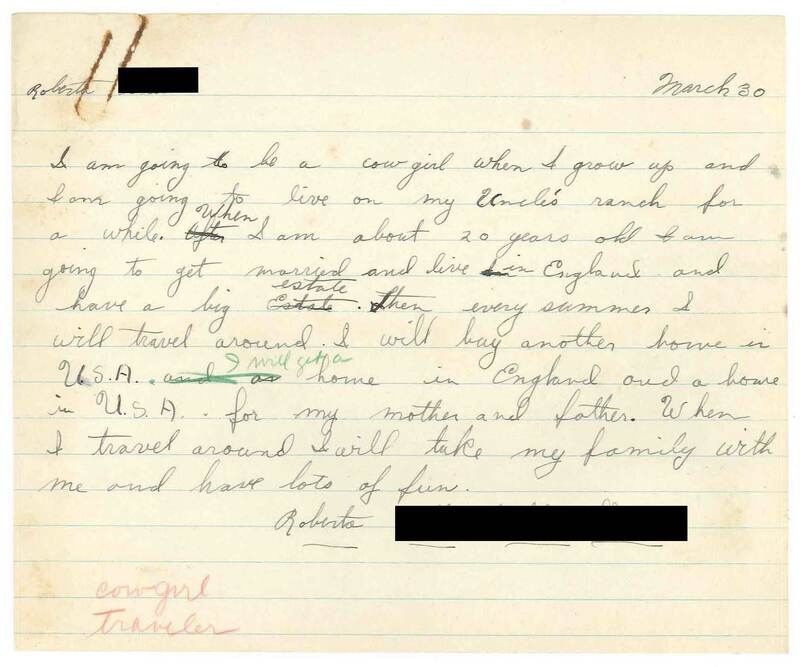 (Click to enlarge images and then use your back button to return to the blog). All right Ann! 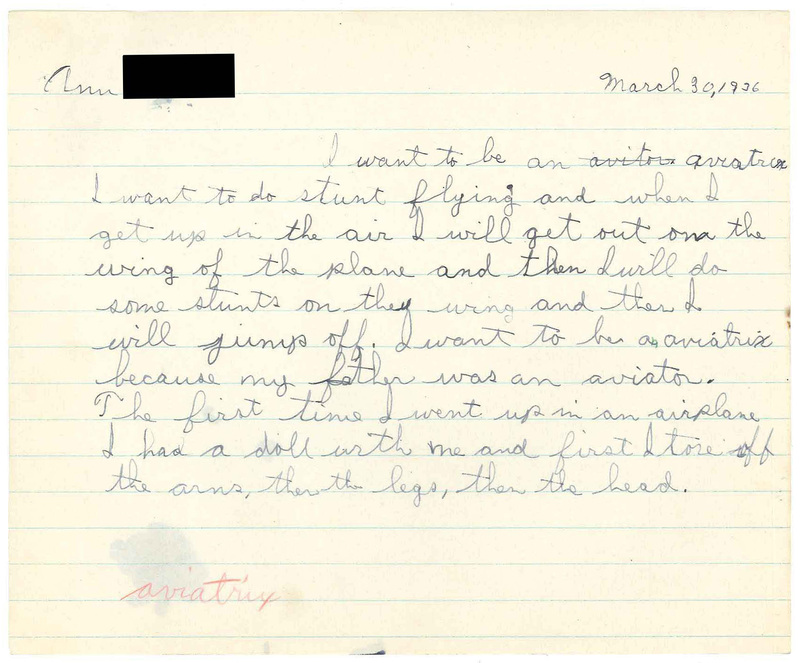 Aviation was pretty forward thinking for a young girl in 1936. She lost me a bit with the doll dismemberment though. Honest work for honest pay. Plus he could snoop inside people’s homes and eat in his wagon. Oh boy! Right on Eleanor. 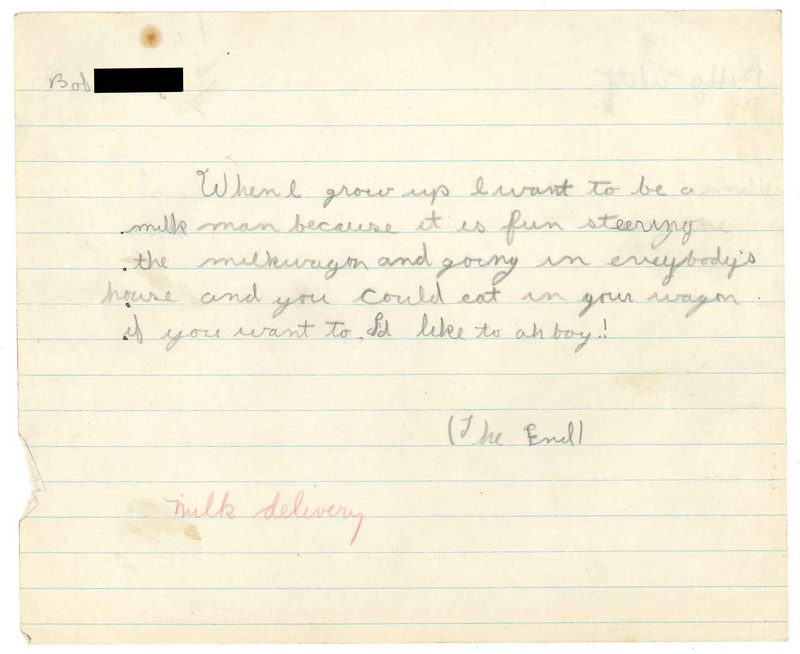 A career is a lot to think about when you’re ten years old. 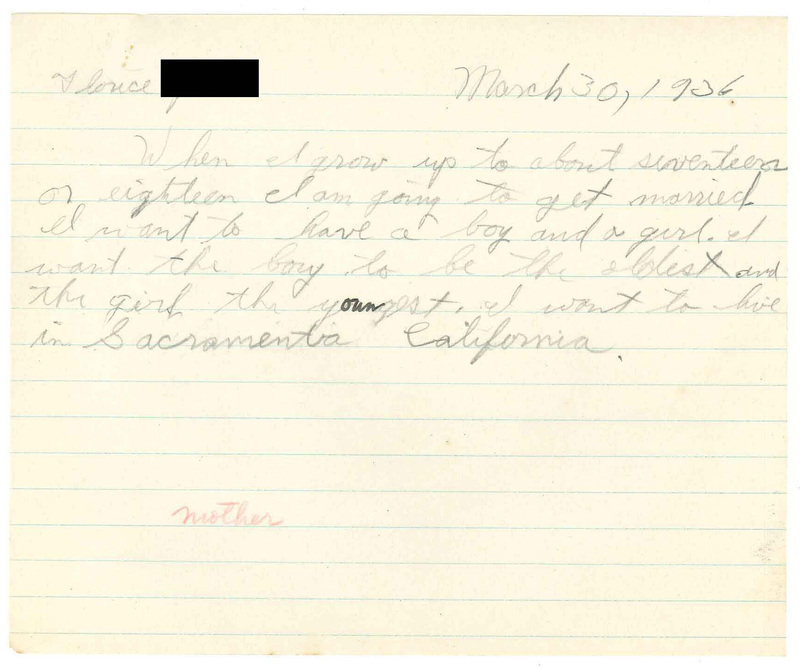 I hope Flo made it to Sacramento! And I hope Helen made it to Broadway! Or at the very least got to boss some kids around. 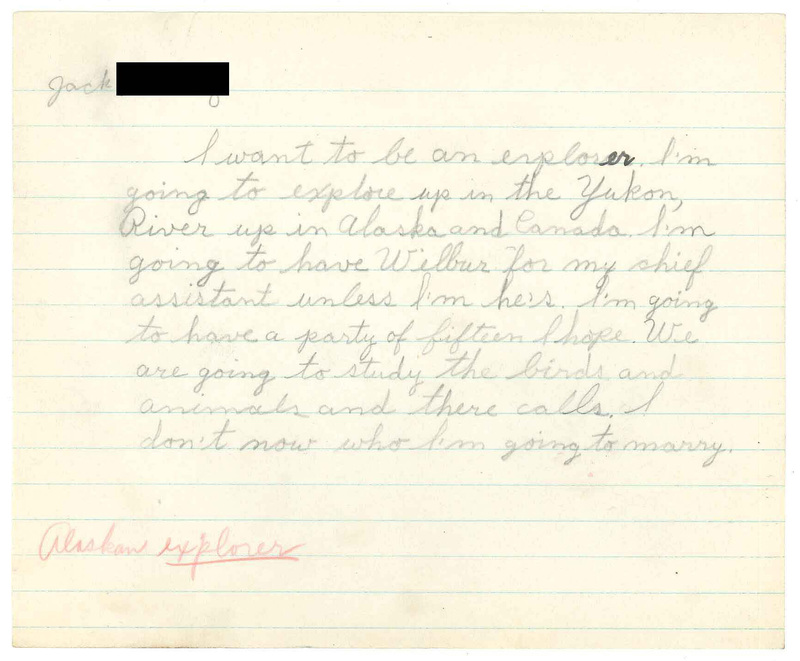 Maybe Jack met the perfect partner up in the Yukon. 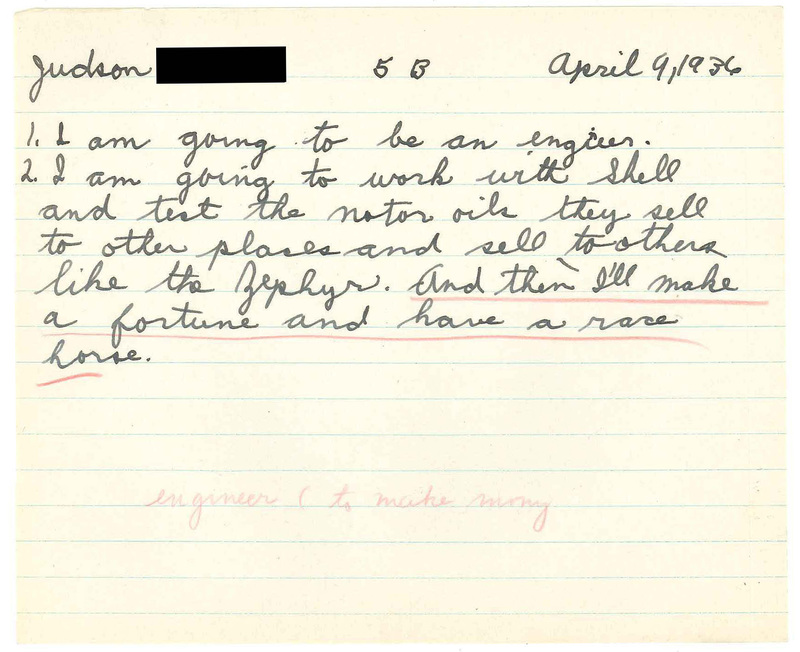 I wonder if Judson ever got his race horse? Dear Earth Ruler – You. Are. Amazing. 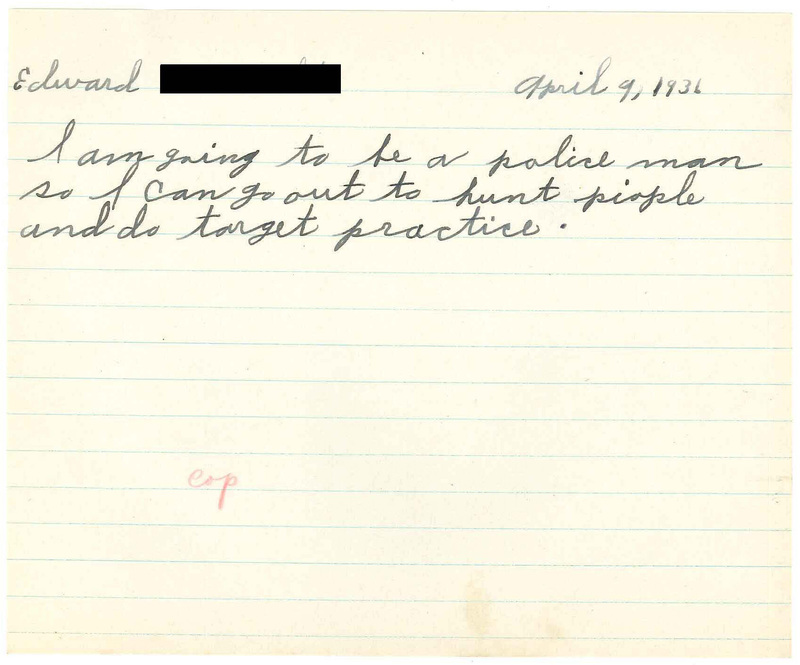 And I hope you were able to thread needles while sitting atop a flag pole! May’s book of the month is a fascinating turn-of-the-century book about an often perplexing topic: SLEEP. 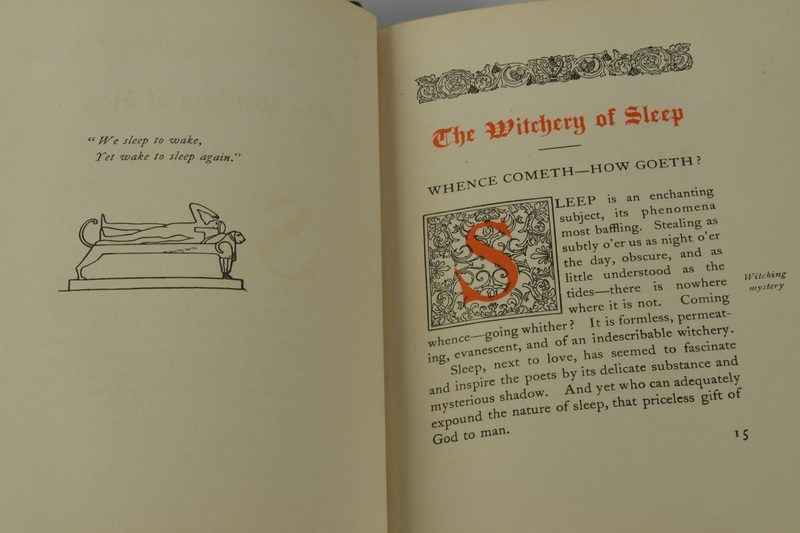 In The Witchery of Sleep (1903), Willard Moyer claimed “the theme of Sleep is an exhaustive one” (from introduction). The book addresses a number of topics relating to sleep, including the phenomena of sleep, sleeplessness, dreams, and the importance of the bed. The book uses drawings and poetry to address the “enchanting subject” of sleep (p. 15). One of the most interesting features of the book is the illustrations. The book contains more than 30 illustrations of what Moyer refers to as “Sleeping Places”. The drawings, which appear to be beds of the wealthy, encompass various countries and time periods. 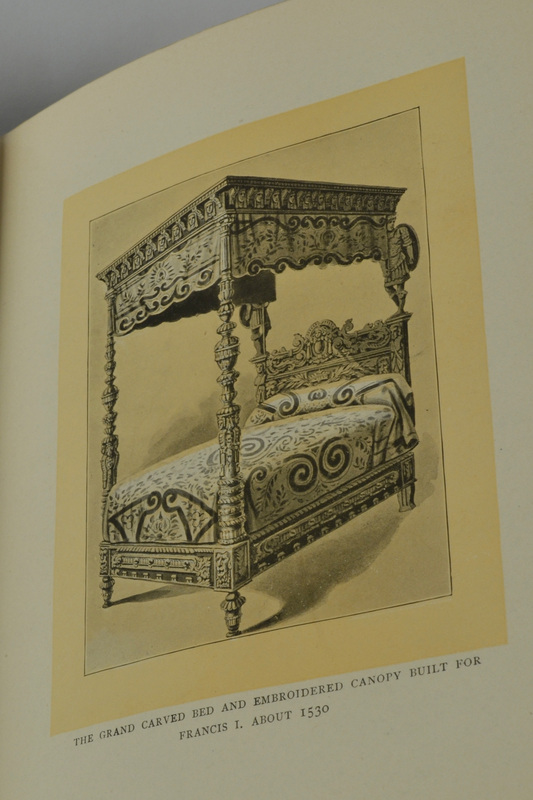 The Witchery of Sleep contains 30 pages of illustrations of beds. This is an example of “the grand carved bed and embroidered canopy built for Francis I. About 1530” (illustration between pages 64-65). There are less than 60 copies of this 1903 edition in WorldCat. The CHP’s copy is especially unique, because it was signed and inscribed by the author in 1908. The book was donated to the CHP by Ludy T. Benjamin, Jr.
As modern medicine will attest, sleep and rest is an important part of overall well-being and psychological health. Even 110 years ago, the book advised, “the loss of a single night’s sleep shows its effects on the nervous system in the exhaustion, drowsiness, irritability, mental disturbance, and digestive derangements which ensue” (page 31). 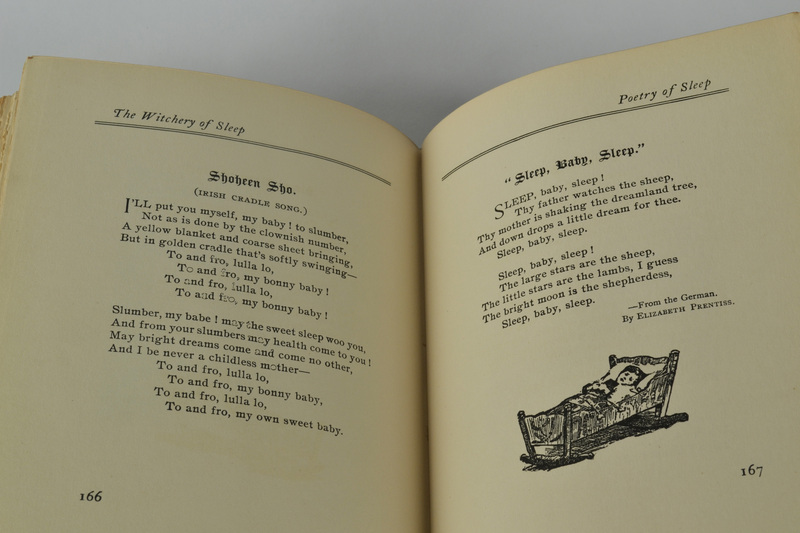 The book includes poetry and sonnets about sleep, including children’s lullabies. Questions for discussion: What is your favorite trick for falling asleep? Do you notice a change in your mood when you don’t get a good night’s sleep?